Today Miike Snow guys unleash brand new single "Paddling Out" from their upcoming album "Happy To You" which is going to be released on March 26th. 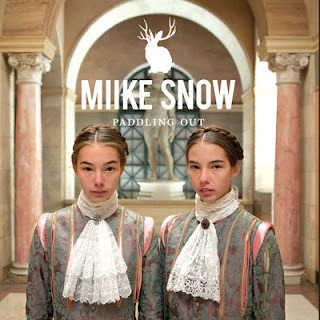 We've already got the first sneak peek with the track "Devil’s Work" in the end of 2011 and comparing with it "Paddling Out" is quite more upbeat track, I'd say it's a disco in a way how you'd imagine disco being reborn by Miike Snow. However style of a new album gets some clear line and it's promising to be pretty delicious electronic work.